Abandoned cars on your street can be reported to 311. Our City Council office just confirmed that if the plates and tags are expired, a 311 report is how to get the vehicle on a towing list with the City. Thank you! On Wednesday July 29, a new portion of the PennDOT Bigelow Boulevard roadwork will begin, which will entail new lane closures and detours. Here is the informational Traffic Advisory from Oakland Transit Management Association, which is the public contact for the project. PennDOT District 11 is announcing the southbound Bloomfield Bridge in the City of Pittsburgh, Allegheny County, will close to traffic beginning Wednesday, July 29, weather permitting. Beginning at 6 a.m. on Wednesday, a 23 consecutive day, around-the-clock closure of southbound Bloomfield Bridge will occur. The bridge will be closed to southbound traffic at Liberty Avenue. Traffic will be detoured. Motorists are advised to use caution, slow down and expect changing traffic patterns. Work zone safety is everyone’s responsibility. To help keep motorists informed as work on the Route 380 project continues, remember to sign-up to receive eAlerts for the latest news and project updates OR visit the project information website at bigelow-baumblvd.otmapgh.org. On Saturday July 11, a new portion of the PennDOT Bigelow Boulevard roadwork will begin, which will entail new lane closures and detours. Here is the informational Traffic Advisory from Oakland Transit Management Association, which is the public contact for the project. PennDOT District 11 is announcing a new traffic configuration will occur on Route 380 in the City of Pittsburgh, Allegheny County, will begin on Saturday night, July 11 weather permitting. Beginning at 8 p.m. on Saturday night, all traffic between North Craig Street and approximately Herron Avenue will be shifted into the eastbound lanes. A single-lane of traffic will be maintained in each direction of the eastbound lanes as crews conduct roadway reconstruction in the westbound lanes. This traffic configuration will be in place through late August. At that time, all traffic will be shifted into the newly constructed westbound lanes, so eastbound reconstruction can begin. Additionally, on Saturday, July 11, a long-term single-lane closure will occur in both directions on the structure that carries Route 380 Baum Boulevard over the Neville Street ramp to the PAT busway in between Morewood Avenue and North Craig Street to continue structural steel work activities. This long-term restriction will be in effect through December. This $12.24 million roadway reconstruction project of Route 380 (Baum Boulevard/Bigelow Boulevard), between Morewood Avenue and Herron Avenue, includes full depth reconstruction from the eastbound off-ramp of the Bloomfield Bridge to the Baum Avenue Bridge over the PAT Busway, reconstruction of the Baum Avenue bridge deck and milling and resurfacing of Baum Avenue from the bridge to Morewood Avenue. Additional work includes reconstruction of ADA curb cut ramps, traffic signal upgrades and pavement reconstruction at the Bloomfield Bridge. The overall project will conclude in August of 2016. Motorists are advised to use caution, slow down and be prepared for changing traffic patterns when traveling through the area. Work zone safety is everyone’s responsibility. Visit www.otma-pgh.org for more information or to sign-up to receive eAlerts (updates, news, ETC) about the project. The Bigelow Boulevard roadwork is schedule to start tomorrow. Here’s the first traffic advisory. The PennDOT Bigelow Boulevard roadwork starts tomorrow, June 30. Here is the full text of the first Traffic Advisory from Oakland Transit Management Association, which is the public contact for the project. Route 380 Baum Boulevard/Bigelow Boulevard/Bloomfield Bridge Reconstruction Project begins Tuesday, June 30, 2015 in Pittsburgh. PennDOT District 11 is announcing a $12.34 million improvement project on Route 380 (Bigelow Boulevard, Baum Boulevard, North Craig Street and the Bloomfield Bridge) in the City of Pittsburgh, Allegheny County, will begin on Tuesday, June 30 weather permitting. Roadway reconstruction work will occur on Route 380 (Baum Boulevard/North Craig Street/Bigelow Boulevard) between Morewood Avenue and Herron Avenue in the City of Pittsburgh. The project includes full depth reconstruction from the Bigelow Boulevard eastbound off-ramp to the Bloomfield Bridge to the Baum Avenue Bridge over the PAT Busway. Additionally, reconstruction of the Baum Avenue bridge deck and milling and resurfacing of Baum Avenue from the bridge to Morewood Avenue will occur. Other work includes reconstruction of ADA curb cut ramps, traffic signal upgrades and pavement reconstruction at the Bloomfield Bridge. Single-lane restrictions for structural steel work will begin at 6 a.m. on Tuesday, June 30 on the Baum Avenue Bridge over the PAT busway. Long-term single-lane closures on the bridge will be implemented at a later date. Roadway reconstruction work will begin tentatively on July 8 on Bigelow Boulevard between North Craig Street and approximately Herron Avenue. All traffic will be shifted into the eastbound lanes. A single lane will be maintained in each direction in the eastbound lanes as crews begin work in the westbound lanes. Reconstruction work will continue through late August. Once the work is complete, all traffic will be shifted into the newly constructed westbound lanes so the eastbound reconstruction can begin. Roadway reconstruction of North Craig Street between Bigelow Boulevard and the Baum Avenue Bridge. A 91 day closure will be required. Multiple weekend closure of Blessing Street for roadway reconstruction. Reconstruction work on the Bloomfield Bridge ramps at Bigelow Boulevard. Two separate long-term ramp closures will occur. The project will conclude in August of 2016. Work occurring next year includes the deck replacement of the Baum Boulevard Bridge and the milling and resurfacing of Baum Boulevard between the bridge and Morewood Avenue. To access PennDOT Traffic Cameras in the corridor visit http://www.otma-pgh.org/resources/links. The OTMA will have a project website which should go live soon. It’s a drag to have two bad-news posts in a row, but people are asking about an incident, so we are putting out the information we have. On December 16; a young woman leaving Gooski’s between midnight and 1:00 a.m. was mugged at gunpoint on Dobson street. She handed over her bag and was not injured. According to PHCA president Terry Doloughty, the mugger was a young African American man, dark skinned, and wearing a black coat and a black hat. We’ve heard a couple of different descriptions of the hat but it sounds like a standard style of knit hat. A couple of days later another young woman, also walking alone at night, was approached by a man of a similar description; she took off running. Each holiday season Officer Janine Davis, our community liaison officer from Zone 2 precinct, reminds us that this is also the season for opportunistic crimes such as this. As Officer Janine put it, criminals want to give Christmas presents too, but instead of buying stuff, they will steal it from other people, or hold up people to get money to shop. So while you are enjoying the holiday season, so also be careful. Don’t leave packages in your car where they can be seen, and make sure the doors are locked. And when walking, be aware. It’s good to remember that although Polish Hill is generally a very safe neighborhood, we are in a city, and it’s good to stay aware and careful. And as always — don’t hesitate to call 911 if you see something, or if something doesn’t seem right. Melissa Rubin from PWSA has just checked in to let us know that the water is back on. Luckily, the high rise did not lose water service. But…they decided not to flush out the hydrants, as our system here is so fragile and it might cause another break. So your newly restored water will be dirty for a while The solution to that is to go down to the lowest point in your home and run the water until it runs clear. Homeowners can apply for a credit with PWSA customer service for the water that was flushed. PWSA did deliver bottled water to our office, and that is still available, so stop by and pick up some if needed. And if you happen to walk past the work crews, remember that some of them have been here working since the very early morning. Please let them know that we appreciate all their work. It’s starting to look like it’s just a matter of time before Polish Hill washes away! We just got another call from Melissa Rubin at PWSA; there is another water main break, this one on Herron Avenue. This one is unrelated to the other stuff that’s been going on, but it affects the same general area. John Paul Plaza, the senior high rise, will lose water service. PWSA is on the way over to the high rise to deliver bottled water to the residents. Yesterday there was a planned shut-off, and the residents who would be affected were notified. That was just a small number of homes. Then a valve broke, and they had to drop back and shut off more of the water service, particularly at one location — Dobson and Hancock. They had some trouble, and the water ended up not being restored until after 8 pm. After the water was restored, there were two breaks, on Downing Street and Brereton Street. This often happens when older lines recharge. Then, at 2:30 am, there was another break on Brereton Street. They throttled down, which keeps water running, but at a lower pressure. But they got calls complaining about water getting into basements and garages. To prevent property damage, they shut the water off completely. At this time (10:30 am), they are predicting 3-4 hours until water service is restored. There are several crews on site working. PWSA has brought several cases of bottled water for residents to the PHCA for distribution. It was posted on the PHCA Facebook page that water main breaks should be reported by calling 911. This is incorrect; you should call one of the PWSA emergency numbers. For future reference: here are the PWSA numbers to call with concerns or reports relating to water service (or the work they’re doing on Dobson Street). 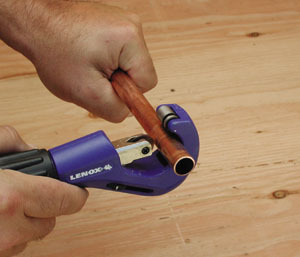 We’ve had a couple reports about attempted thefts of copper pipe, most recently on Melwood Avenue. In this latest incident, the homeowner was home asleep; the would-be thieves had forced open the basement door, entered, shut off the main water valve and were preparing to cut out the pipe before they were interrupted. Last month a vacant house on Harmar street was entered; luckily an alert neighbor noticed and called the police, who intervened before damage was done. We posted in June about an attempted break-in on Flavian Street; someone tried to enter a home by pushing the window air conditioner in. Luckily, the unit was secured well and the individual was unable to enter. Fortunately, these attempts were all unsuccessful. But it bears repeating and remembering — the warm weather months are a time when windows are open, and sometimes we relax our guard a bit. If you leave your windows open when you are not at home, secure them well, and if possible, have some way to prevent people from getting in easily, like additional bars or other devices on accessible windows. If you have an air conditioner, make sure it’s screwed into place. Basement doors and windows should be secure as well. And if you live near a vacant house, keep an eye out for intruders. 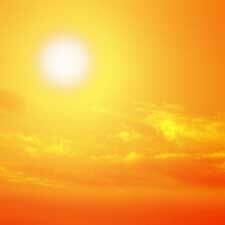 Allegheny County Emergency Services today announced the opening of more cooling centers throughout the area in response to temperatures forecasted to be in the mid to high 90s and heat indices predicted to be more than 100 degrees for the next several days. Emergency Services will issue updates if additional cooling centers open. An updated list of centers is also available on the Allegheny County website at www.alleghenycounty.us. Brookline: Seton Center, 1900 Pioneer Ave. July 21-22, 7 a.m-9 p.m. For information, call 412-344-4777. East Liberty: Lemington Community Center, 1701 Lincoln Ave. July 21-22, 8 a.m.-5 p.m. For information, call 412-362-7301. Lawrenceville: Stephen Foster Comm. Center, 286 Main St. July 21-22, 7 a.m.-7 p.m. For information, call 412-621-3342. Squirrel Hill: Jewish Community Center, 5738 Forbes Ave. July 21-22, 9 a.m.- 9:30 p.m. For more information, call 412-521-8010. Homewood: Citiparks Homewood Center, 7321 Frankstown Rd. July 21-22 8 a.m.-7 p.m.; July 23-24 11 a.m.-7 p.m. For information call 412-244-4190. Knoxville: Elder-Ado Knoxville Sr. Center, 320 Brownsville Rd. July 21-22 7:30 a.m.-6 p.m. For information call 412-381-6900. The Allegheny County Health Department is warning that the extreme heat and humidity forecast for the next few days can pose serious health problems for the elderly, infants and children up to the age of four, the overweight, people who work or exercise outdoors, and people with heart or respiratory problems. Heat-related illness occurs when the body’s temperature control system is overloaded. The body normally cools itself by sweating, but sometimes this cooling mechanism breaks down and the body temperature rises rapidly, triggering heat exhaustion or heat stroke. Heat exhaustion is the body’s response to an excessive loss of water and salt contained in sweat. Warning signs include heavy sweating, paleness, muscle cramps, fatigue, dizziness, headache, nausea or vomiting and fainting. Seek medical attention immediately, if the symptoms are severe or if the person has heart problems or high blood pressure. Otherwise, help the victim cool off, and seek medical attention if the symptoms worsen or last longer than one hour. Heat stroke, a more serious and potentially life-threatening condition, occurs when the body is unable to control its temperature and the sweating mechanism fails. Warning signs may include an extremely high body temperature (above 103° F); red, hot and dry skin, due to no sweating; a rapid, strong pulse; throbbing headache; dizziness; nausea, confusion; and unconsciousness. Death or permanent disability may result without emergency treatment. Cool the victim rapidly by any means available until paramedics arrive. — Stay cool indoors, preferably in an air-conditioned environment. Fans don’t help much when temperatures are in the 90s. A cool bath or shower is a more effective way to cool off, if you don’t have air conditioning. Better yet, visit someplace that does, such as a senior center, theater, mall or neighbor’s house. — Drink plenty of fluids, at least eight cups a day, but not alcoholic or caffeinated drinks which actually cause you to lose more fluids. Avoid hot foods and heavy meals, which add heat to your body. — Wear lightweight, light-colored and loose-fitting clothing. A wide-brimmed hat provides shade and helps keep the head cool. Sunscreen can prevent sunburn, which can affect your body’s ability to cool itself and also cause a loss of body fluids. — Avoid strenuous physical activity, particularly during the hotter part of the day. — Never leave a child, or a pet, in a vehicle alone on a hot day. A child may become disoriented in just five minutes, unconscious in 10 and brain-damaged in 20. — Use the buddy system and check on the elderly and the infirm who do not have air conditioning and are less able to take care of themselves.